It’s a unique concept in an exotic part of the world, and the focus is on health, well-being and longevity. In fact, the name of this resort is Longevity Wellness Resort Monchique, and it is located in Monchique, Algarve, Portugal. 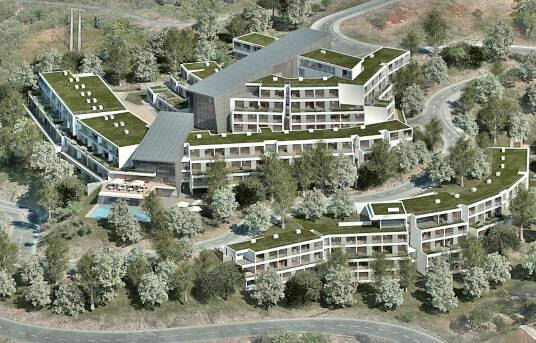 A Massive Project The Longevity Wellness Resort Monchique is a $50+ million development. Spanning nine acres, it will offer four-star hotel amenities and services in a setting that includes gardens, walking trails and meditation areas. 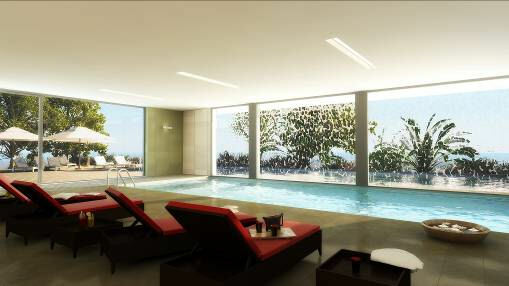 The Longevity Wellness Resort in Monchique, Portugal will be an impressive $50 million development. Longevity will consist of 17 three-story buildings with condo hotel residences and two main hotel facility areas. It will have a total of 195 one-bedroom units, 30 of which have been set aside for Condo Hotel Center buyers at a special discounted price. More on this in a minute. The Philosophy Behind this Development The four R’s — rest, relaxation, rejuvenation and recreation. That’s the philosophy behind Longevity Resort. It is targeted at active people age 45+ who seek a second home, one which they can use for medium to long stays (more than one month) and receive rental revenue when they’re not using their residence. The philosophy behind Longevity is to provide an integrated experience in wellness and healthy living. It will offer a relaxing and supportive atmosphere in which visitors will be inspired to make choices toward positive lifestyle improvements. Condo Hotel Amenities With its focus on wellness, Longevity will offer the types of upscale amenities and features you would see at some of the world’s most prestigious spa resorts. Longevity will have a 6,458 sq. ft. destination spa, offering all the latest therapies and treatments. Condo Hotel Services In addition to what might be considered traditional services of a hotel, Longevity will offer much more, including many programs based on its healthy lifestyle focus. It will have a wellness specialist on staff and offer nutrition assessments. 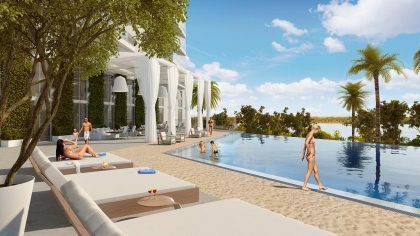 The resort will have indoor and outdoor pools, as well as walking trails and outdoor meditation decks. It will offer courses in subjects like gardening and healthy cooking as well as cultural programs and language studies. A Beautiful Location Longevity Wellness Resort is surrounded by the hills of Monchique (referred to as “The Garden of the Algarve”) with a spectacular coastal view of the Atlantic Ocean. It is nestled in a green forest, amid very low construction density. Stepped buildings along the slope rise no higher than three stories, taking advantage of the local topography and maintaining the original landscape. 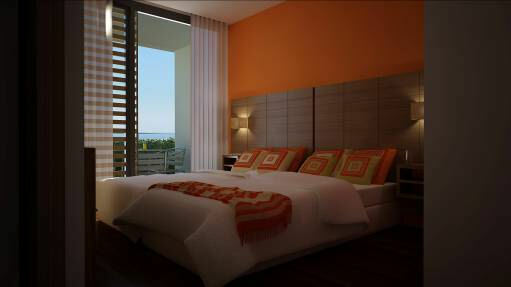 The individual condo hotel units will have private balconies with views of the nearby mountains and ocean. Other distinguishing and environmentally-friendly project features include thermal waters, landscaped gardens and walking trails. The Algarve region, where the resort is located, is Portugal’s best known international tourism destination. It enjoys a warm climate and more than 300 days of sunshine per year. It offers a friendly, relaxed atmosphere, and English is widely spoken. Also, the Algarve was elected “Best Worldwide Golf Destination 2006” by the International Association of Golf Tour Operators. Golf, Beach and Ancient Spas Just Up the Road It’s just a 45 minute trip from the Faro Airport to Longevity Wellness Resort. 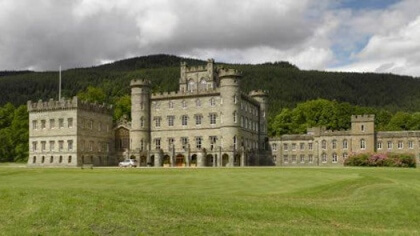 And the resort is just 15 minutes from several award-winning golf courses. About 20 minutes away are the beautiful beaches of Portimao, Alvor and the Vicentina Coast. 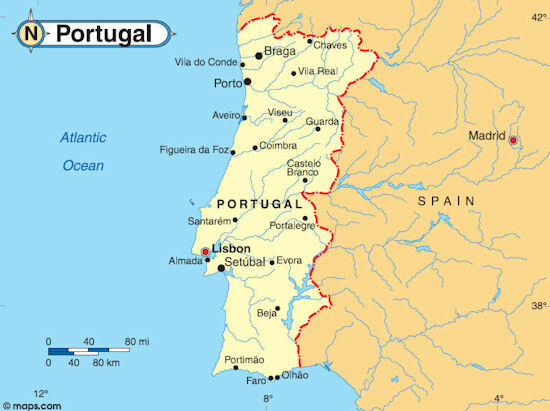 Monchique is located in the south of Portugal just 20 minutes north of Portimao, as seen here on this local map. Nearby is the village Caldas de Monchique, which was developed during the Roman Era and has been a spa more than 2,000 years! Here, you can try the curing elements of the sulphur spring that emerges at a constant temperate of 90 degrees. The Romans appreciated the curative powers of these waters in the days of Augustus Caesar as did the Kings of Portugal in medieval times. Portugal, an Up and Coming Destination Tourism in Portugal has consistently grown with 2007 having been the best year ever for the country’s tourism revenues. Capital growth has remained consistent in Portugal/Algarve at between 7-10% per year since 2000. The UK’s popular real estate TV program “A Place in the Sun” recently voted Portugal as the third best overseas property option in its recent list of the 20 best investment locations, based on figures provided by the accounting firm of Price Waterhouse Coopers. Well-appointed Condo Hotel Units Construction on Longevity Wellness Resort has already begun and is expected to be complete by July 2009. 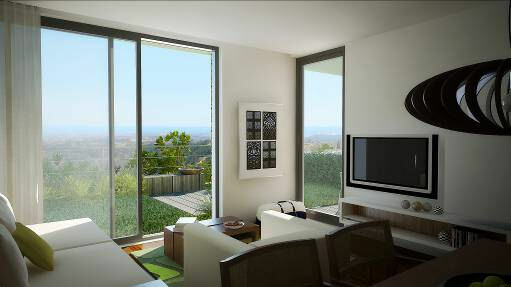 The condo hotel units will have top-of-the-line finishes, furnishings and appliances. The individual condo hotel residences will feature quality construction and top-notch finishes. They’ll be equipped with cable TV and wireless internet connections. 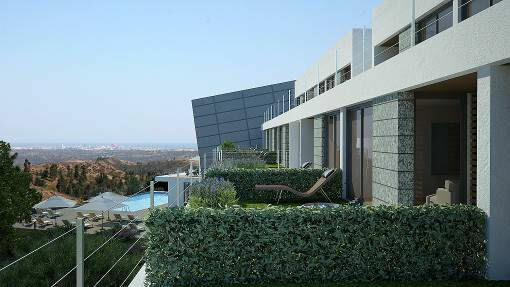 The majority of the units will have balconies offering magnificent mountain and sea views. 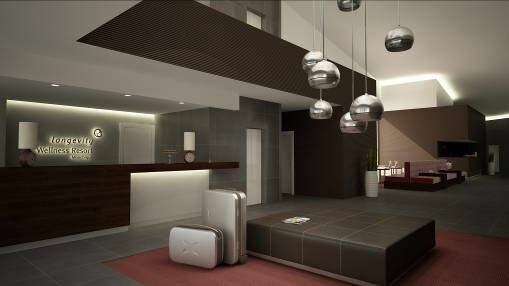 The condo hotel units at Longevity Wellness Resort can be purchased unfurnished and lived in year round, if you choose. However, if you plan to place your unit in the rental program, you’ll need to buy a furniture package. Longevity offers several different floor plans of one-bedroom units from which to choose. A Discount for Condo Hotel Center Buyers Choose from two types of one-bedroom condo hotel units, ranging from 648 to 952 square feet. Prices range from $293,500 to $477,000. The optional furniture package costs $20,400. Bank financing of up to 80% of the total price is available. Clients of Condo Hotel Center will receive an 8% discount off the stated prices. Condo Hotel Center was able to negotiate a discount for our clients on 30 specially selected units. Buyers will get an 8% discount for a single purchase and a 10% discount on two or more units off the stated prices. This discount is not being offered to anyone else and is a special arrangement that we at Condo Hotel Center negotiated with the developer. We are pleased to be able to make this special offer to you. 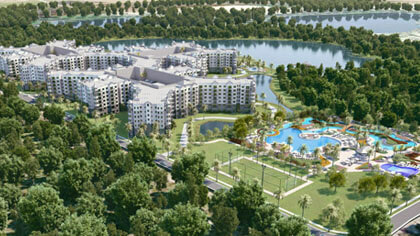 Artist’s rendering of Longevity Wellness Resort. Construction is already underway to be completed by July 2009. Want More Information? I know there’s a lot of information to digest here. And, in fact, I’ve got even more. I’ve put together a detailed data sheet. You’ll just need to provide your name and contact information to receive it in accordance with the developer’s requirements. Request the Longevity Wellness Resort Monchique data sheet here. The Start of a New Trend I hope you found the information on Longevity Wellness Resort interesting. 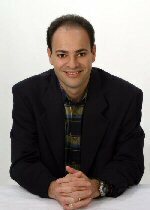 I believe it reflects a new trend that we will see in which condo hotels are integrated into upscale spas and wellness centers. Even if you’ve never considered a second home in Portugal, my objective with these Property Alerts is to make you aware of new condo hotel properties around the world and new trends in the industry. I think Longevity truly fits the bill. As always, thank you for your attention to news from Condo Hotel Center. Please feel free to forward our Property Alerts to friends who might share your interest. * All rights reserved. No portion of this Property Alert may be reproduced, exhibited or distributed without the express written permission of Condo Hotel Center. Although Condo Hotel Center believes the information contained in this Property Alert to be accurate and complete, Condo Hotel Center can make no such guarantee.